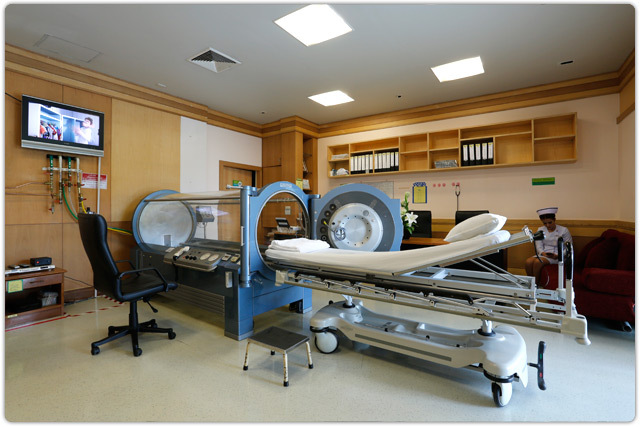 Badalveda Center operates the Hyperbaric Oxygen Therapy (HBOT) in full range services with 24 hour on-call diving physician available. 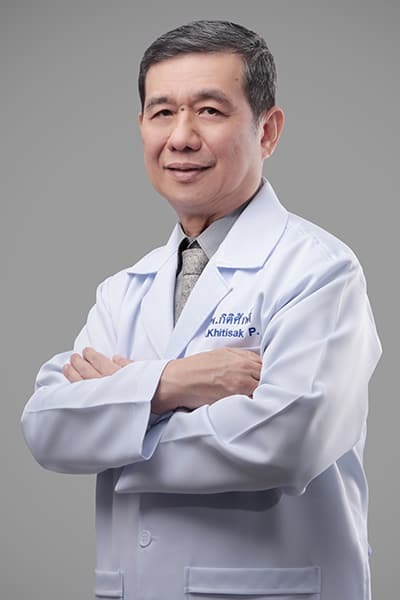 Diving Medicine Center is located at the 1st floor, Bangkok Hospital Phuket. The duration of each treatment can vary from one to two hours, although the most common treatments are in excess of 90 minutes; a variable number of sessions depend on type of diseases and conditions. 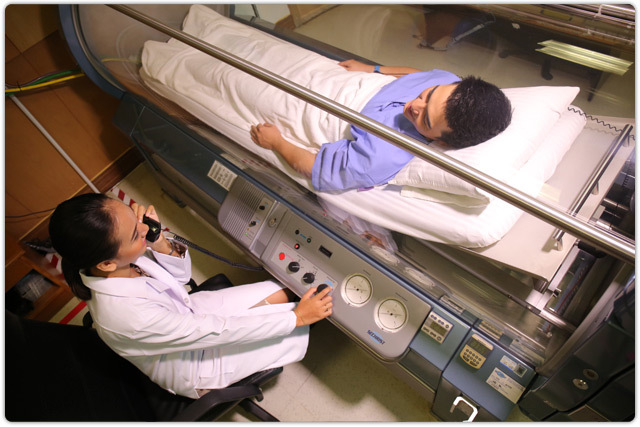 Badalveda Center operates the Hyperbaric Oxygen Therapy (HBOT) in full range services with 24 hour on-call diving physician available. 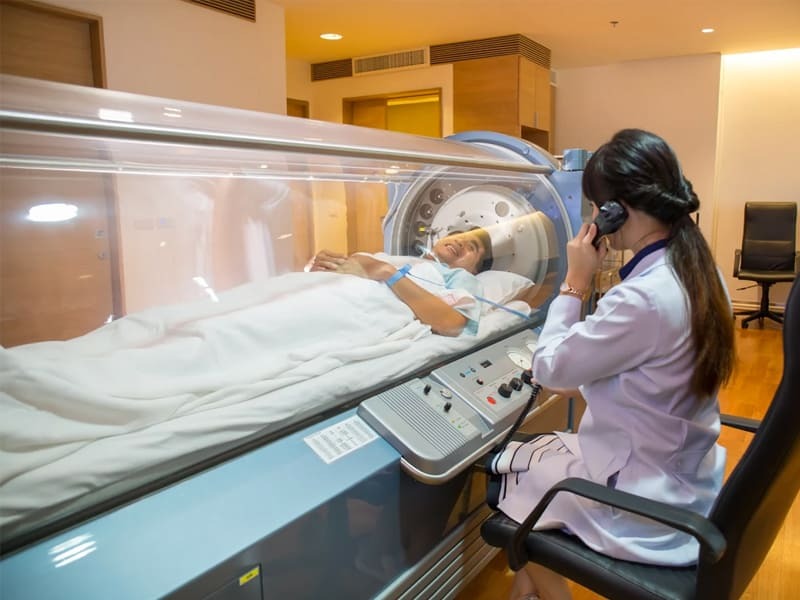 HBOT is a treatment in which a patient breathes 100% oxygen intermittently while inside a treatment chamber at a pressure higher than sea level pressure (1 atmosphere absolute). 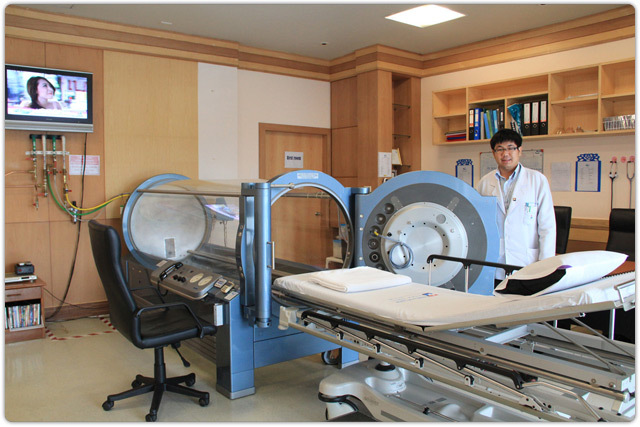 In addition, HBOT is a well-established treatment for decompression sickness, a hazard of scuba diving. 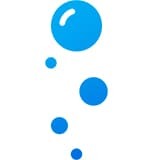 Hyperbaric Oxygen Therapy is worldwide accepted for decompression illness for more than 50 years and is currently approved for using in many emergent and non-emergent indications as primary or adjunctive treatments such as iatrogenic arterial gas embolism, carbon monoxide poisoning, severe crush injury, clostridia gas gangrene, necrotizing soft tissue infection, thermal burns, brain abscess, chronic refractory osteomyelitis, problem wounds from diabetes and late effect of radiation tissue injuries. Counteract the condition of hypoxia, resulting from various causes such as disorders of the lung or breathing, blood loss, shock, inhalation of smoke in large quantities. Also the toxic gas carbon monoxide. The effect on the contraction of blood vessels is useful in the treatment of swelling of tissues caused by trauma, swelling of the brain and various wounds, etc. Enhanced white blood cell removal will improve reduction of bacterial infection. Stimulate muscle cells to be able to heal wounds faster. Stimulate the creation of new capillaries, improving blood supply in gangrene from diabetes mellitus, arterial stenosis, ulcers caused by chemotherapy and radiation. Resistance to infection. Inhibit the growth of many types of germs, bacteria and fungi (Anaerobic organisms) infectious diseases. Stimulate stem cells in the bloodstream to help repair the injured tissue. Diving Medicine Center is open daily from 8.00 am to 5.00 pm.